The CogendaWorks Collections module is based on a fully compliant SQL database. The design of the database makes accessing the required data a simple and rapid operation. 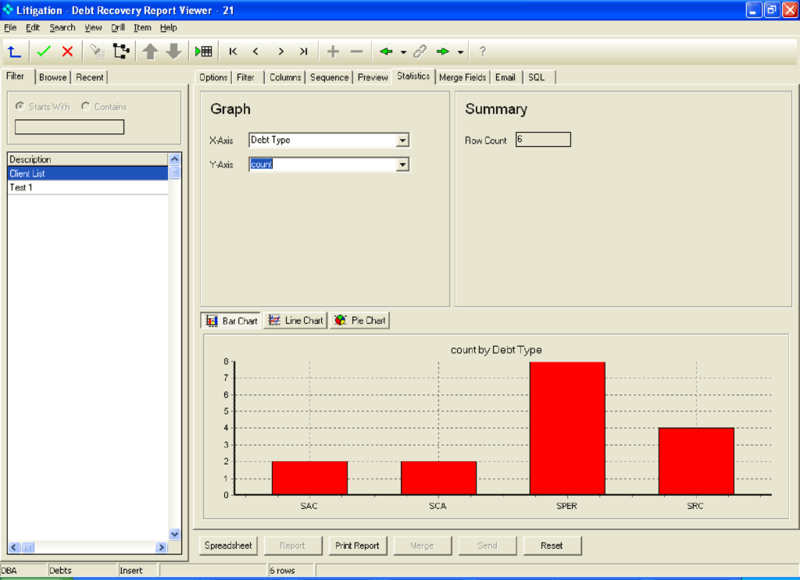 The CogendaWorks analysis tools allow the generation of performance reports in real time. Reports can also be scheduled for automatic generation at specified terms. Performance can be monitored in a variety of ways with options relating to workflow processes. Reports can be distributed automatically by email in various forms including spreadsheets. Options to print standard reports, spreadsheets, bar charts, line charts, pie charts, and for data to merge.